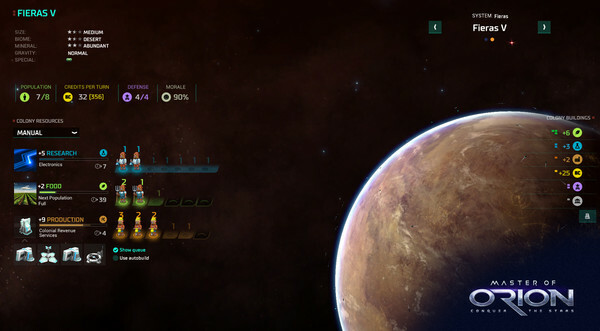 It's a great time to be a space strategy fan, as Stellaris is right around the corner and now Master of Orion is about to land on Linux too. I have been a Master of Orion fan for many years and spent an insane amount of hours playing it when I was younger and had more hair. I am excited to be able to play the new one and lose more hours of my life. You can find Master of Orion on GOG and Steam. Remember, don't buy it until the Linux version is out so you don't get let down if it ends up being delayed a bit. Thanks for the link Super Tux. I've been keeping an eye on this, and I still will, but I don't think I'll buy it while in early access. Stellaris gets my Money and knowing Paradox grand strategy games it'll keep me occupied for quite some time(and HOI4 isn't too far off either). Huckert I've been keeping an eye on this, and I still will, but I don't think I'll buy it while in early access. Stellaris gets my Money and knowing Paradox grand strategy games it'll keep me occupied for quite some time(and HOI4 isn't too far off either). Same! Stellaris it will be. I don't care about MoO in EA. Well, not to mention the MoO3 disaster. When it comes to these 4X space games, you know what I'd like to see? I want a game that just goes crazy on the tech tree. Too often you get all these technologies and they'll have awesome sounds-crazy-advanced names and they do something like increase industrial production 5% or make ship components very slightly smaller or give your missiles +1 damage, woo hoo. Everyone wants to be careful, and systematic, so they keep the impacts of technologies balanced, and predictable, and incremental, and kinda boring. To heck with worrying about balance (or maybe have an optional "tame" tech tree), just make with the super science at the upper levels and if the implications of a tech let you totally break all feeble opposition if you use it unscrupulously, so be it! I'd play again and again just to try different game-breaking technologies and gloat as I used them to sweep aside my foes and dominate the galaxy. The Linux version seems to be release, no ? I have the SteamOS icon and SteamOS requirements on the Store page. berillions The Linux version seems to be release, no ? Darned expensive month for games lol. I might need that OT on Monday . Edit: Played for an hour so far, not one crash and set graphics to very high on on a I5 4630, 16GB ram and Nvidia GTX 960. Lowest FPS 32 when things are loading and seems to hit 60 FPS. All cut scenes and voices loaded and ran fine. An hour barely scratches the surfaces of the game, but so far so good. I'll let Linux reviewers do their thing .